Unlike cryptocurrency exchanges, crypto trading at AvaTrade involves dealing with a financial derivative such as CFDs. You will not be buying and selling with the physical cryptocurrency but rather with CFDs which allows you to capitalize on the price movements of the cryptocurrency. The advantages of trading cryptocurrencies with AvaTrade’s CFDs include being more affordable and the ability to profit from both a rising and falling market. In addition with the leverage facility provided by AvaTrade, you can also leverage your trades by up to a ratio of 1:20. AvaTrade trading accounts can be funded using credit/debit cards and bank wire transfer. Electronic payment transfers through eWallets are also supported by AvaTrade. These include DinPay, NETELLER and WebMoney. AvaTrade is regulated by the Central Bank of Ireland (Reference No: C53877) and also by other well-known regulators such as the Australian Securities & Investments Commission (ASIC) and the Financial Services Commission (British Virgin Islands). The broker is especially tightly regulated in Japan with several agencies such as the Financial Services Agency, the Financial Futures Association of Japan and the Commodities Futures Association of Japan simultaneously having oversight on its operations in Japan. 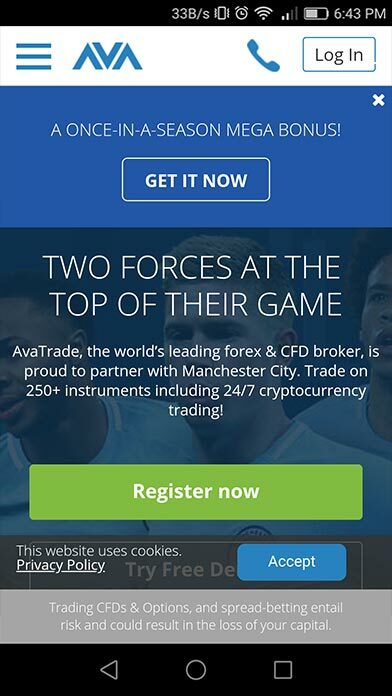 Regardless of whether a trader is a beginner trader or an experienced trader, AvaTrade will be able to meet all their trading requirements. Im now not sure the place you’re getting your info, however great topic. I must spend a while finding out much more or understanding more. Thank you for fantastic information I was in search of this information for my mission.